This post is sponsored by Kellogg's® and The National Frozen & Refrigerated Foods Association (NFRA). All opinions are my own. See easyhomemeals.com for more recipes & tips. Celebrating St. Patrick's Day doesn't have to require a lot of effort! For many of us with Irish heritage, like myself and Adam, we enjoy celebrating it every year in some shape or form. Being that I was born and raised in Boston, St. Patrick's Day is an important holiday that we celebrate in our family! I thought it would be a nice idea to share how we can take the time to celebrate a holiday that doesn't require a lot of work but is a great way to have fun, enjoy delicious food, and talk about what the holiday is as well as why it's often celebrated by many people. 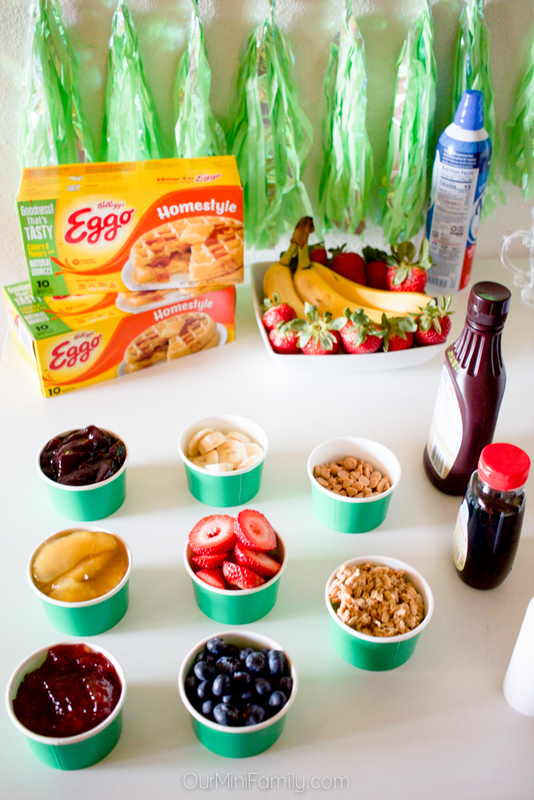 This waffle bar party idea can be customized in many ways, and is a fun way to enjoy breakfast before the work day or a full day of school with family that doesn't require much prepping and it is cost-efficient (since it's most likely that you'll have these types of foods in your cabinet and refrigerator/freezer already!) 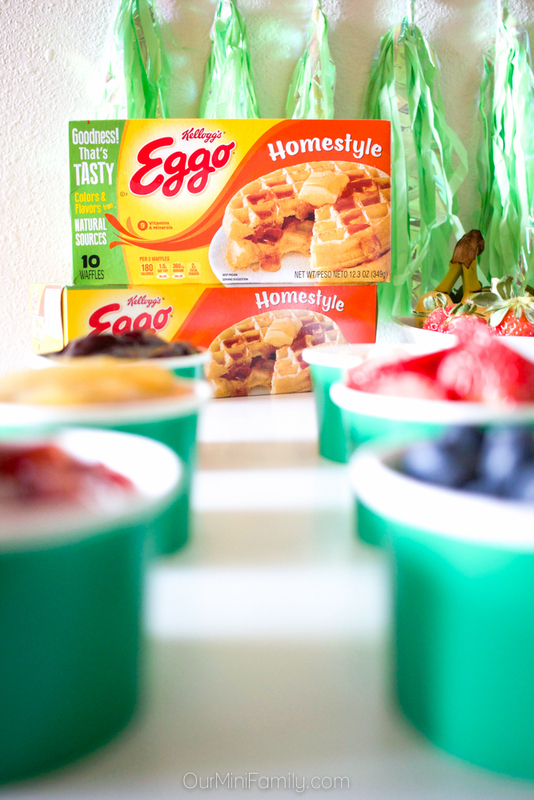 In addition to March being all about St. Patrick's Day, it is also worth noting that March is Frozen Food Month which makes it all the more reason to take some time to enjoy our favorite frozen waffles which are Eggo® Homestyle Waffles! 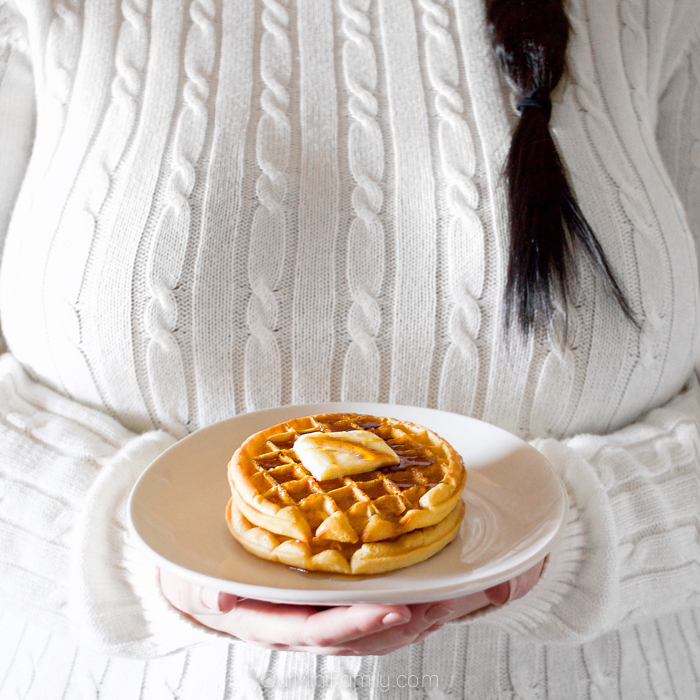 Our preferred waffle is Eggo Homestyle Waffles! 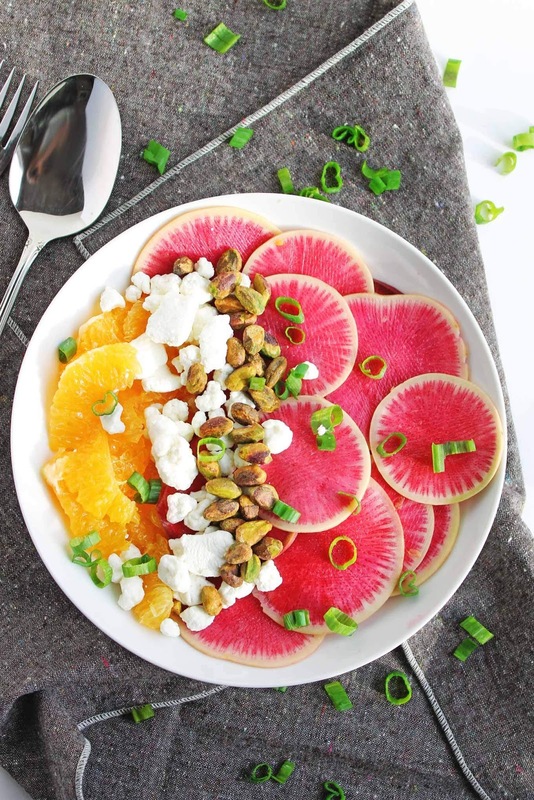 They are affordable, convenient to toss in the toaster oven, and they can be used in so many unique pairings and be enjoyed with lots of different toppings, fruits, and nuts. 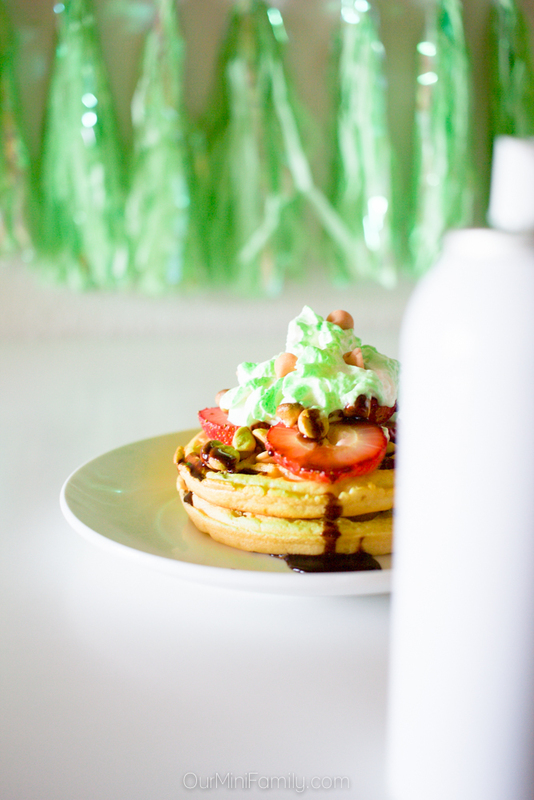 They are made with no artificial flavors, warm, fluffy yet crisp, and they are the perfect canvas for a fun St. Patrick's Day waffle dressed in fun and tasty ingredients! Peanut butter, hazelnut spread, jams, jellies, butter, or even cream cheese, there are plenty of ideas you can incorporate into delicious spreads to jazz up your waffle. Whether you prefer sweet or savory, the sky is the limit! For our waffle bar, we had strawberry jam, blueberry preserves, and apple pie filling. 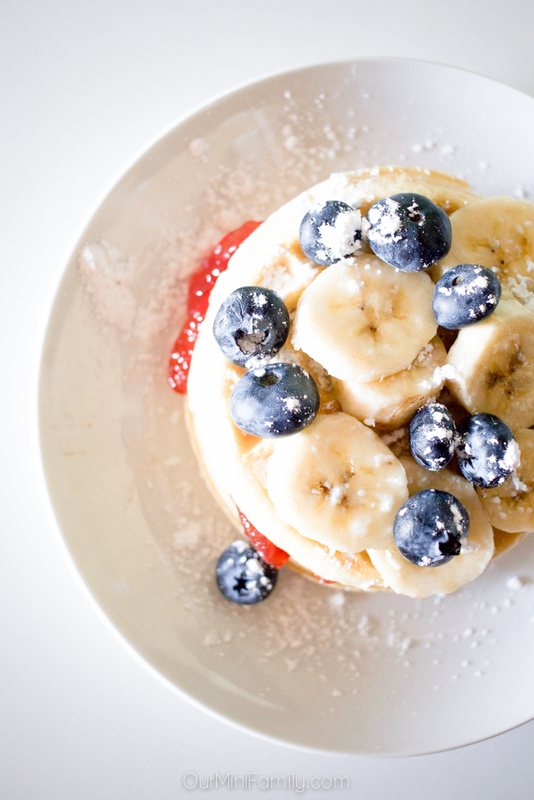 Add some fruit to your waffle for a wonderfully fresh texture! You can introduce any fruits you want, but our favorites are strawberries, bananas, and blueberries. Sweet toppings could include granola clusters, chocolate or peanut butter chips, or even sprinkles. If you are going for a savory waffle, you can go bold and introduce a protein like some fried chicken or an egg cooked over-easy! Think about what kind of flavors you want and what time of day you are going to have your waffle bar (it doesn't have to just be a breakfast waffle bar in the morning--you can do a savory waffle bar for dinner as well). Finish your waffle with some sauce! Just like with your toppings, your selection of sauces will depend upon on if you want sweet or savory waffles. We opted for a sweet, dessert-like waffle bar so some of our favorite sauces for that are whipped cream, chocolate sauce, and maple syrup (as well as edible green mist that we sprayed on top of the whipped cream on the waffles). Some ideas for savory sauces include buttermilk ranch dressing, melted cheese, marinara, etc. No matter how you like your waffles, there's always time to stop and celebrate a holiday with a little effort (and this waffle bar is a fun and easy way to bring some St. Patrick's Day spirit to your table!) Be sure to stop by the grocery store and grab a few green items for your table--we love our green party tassels and green cups, which is just perfect for St. Patrick's Day! Since March is Frozen Food Month, the National Frozen & Refrigerated Foods Association (NFRA) is celebrating by bringing everyone great recipe ideas as well as some awesome giveaways you can enter for a chance to win up to $10,000 in prizes for a limited time! 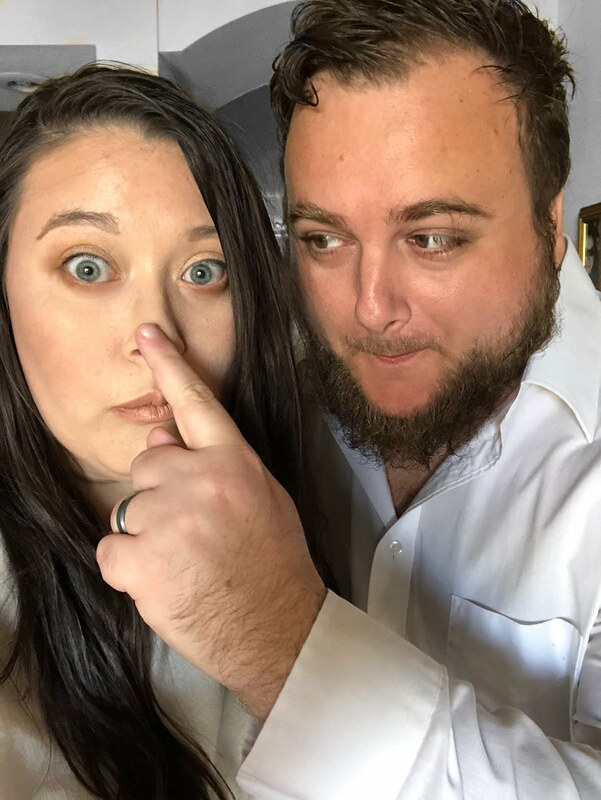 Special thanks to the NFRA for sponsoring this blog post! Don't forget to save this idea on Pinterest and Facebook! We do keep a box of frozen waffles in the freezer for those moments where we want a quick something on a busy day. A waffle bar isn't something I'd do on any day just for us but it would be neat for a party. 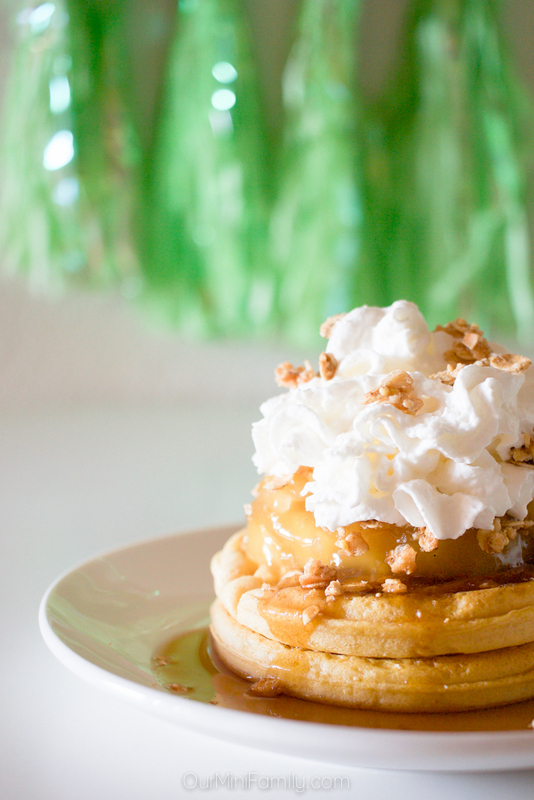 A waffle bar is a great way to welcome St. Patrick's Day or any other day. I love all of your topping ideas . 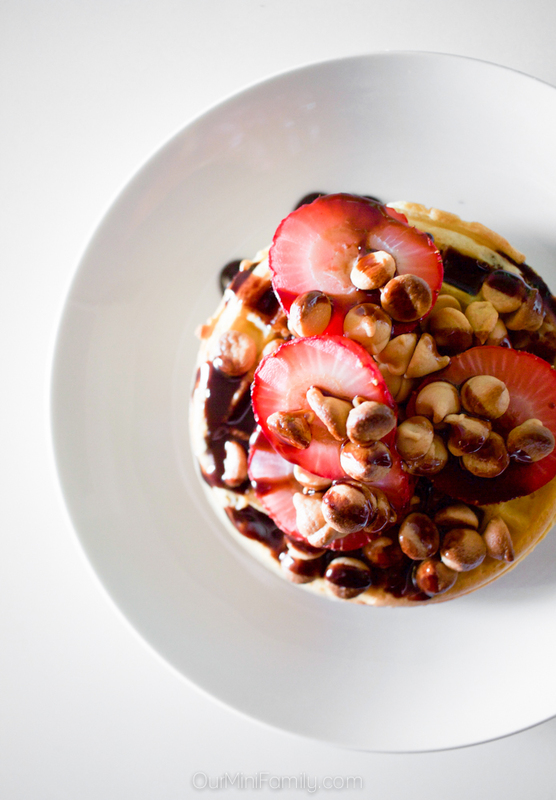 I love to do lots of toppings when I have company, but usually I do homemade waffles. This would be a great weekend event though, and much quicker. This is my kind of waffle bar! I might have to do this for my family one day. I think everyone will be excited. We have lots of waffles in this house! Great idea! We don't have any definite plans for St. Patrick's Day yet. I don't know if we will be having family over. If we do, I am going to copy this idea. It would be so much fun to be able to "create" your own waffle breakfast. I think a waffle bar is such a fun idea for all sorts of holidays! I can totally get behind this for St. Patricks day! Wow a waffle bar would be perfect for brunch at home. My kids love waffles. I bet they would really enjoy a waffle bar like this! 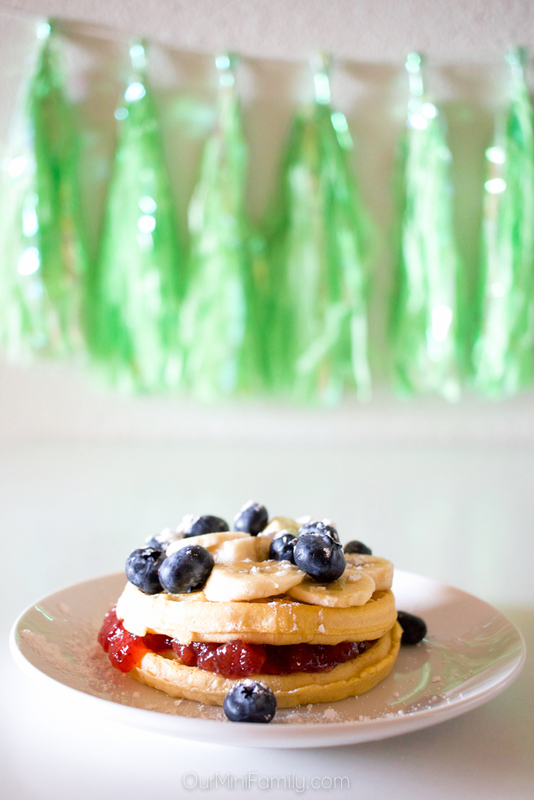 Breakfast food makes me super happy and I think this is such a great idea for St. Patty's Day! A waffle bar is so much fun! Thanks for the idea! Okay, why have I not had a waffle bar yet! This is an amazing idea! I need to attend a waffle bar soon. This stuff just looks way to good to avoid. 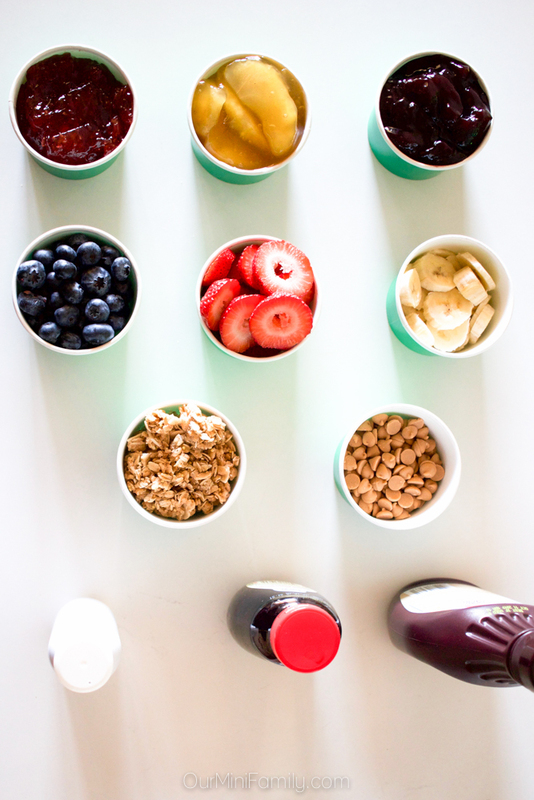 A waffle bar is a great idea for a brunch. I know my kids would't complain about what"s being served. A friend of mine always make a waffle bar during St.Patrick at school. I sometimes help and it's fun seeing the kids devour the treat. I literally have Eggos at least 4 times a week. I love them so much. My faves are the buttermilk!